The Los Roques Natural Monument is located in the central region of the island of La Gomera, in the municipality of San Sebastián de La Gomera inside the Garajonay National Park. 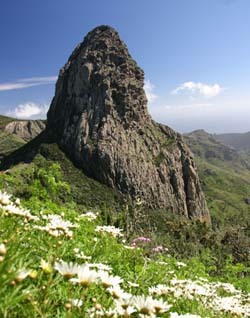 The Los Roques Natural Monument is composed by three big rocks: Roque Agando, Roque Ojila and Roque La Zarzita. 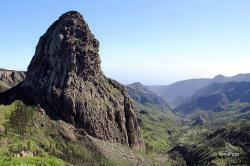 The most famous is the Roque Agando a huge phonolitic that reaches the 1.075 meters high. This natural monument has great scientific interest as it holds many singular elements with important landscape value. It’s also important to know that surrounding this region you might find many native plants as well as many protected species such as the Senecio Gomero.